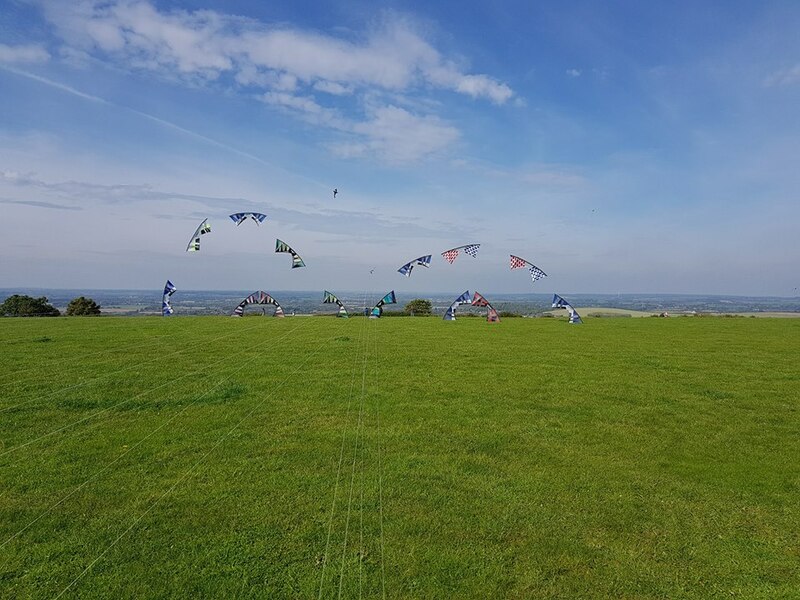 Take a look at videos of quads being flown where the flyer is shown and take a look at their handles and leaders, this will give you an indication of what others use as their settings. One thing to note is that everybody is different not only in leader settings but actually holding the handles and eventually you will settle on what is a comfortable setup. Whatever length you are after whether it be 30ft or 120ft that length is your finished target but as Wayne says it does not have to be dead accurate ! I usually add 3ft to my cut lengths which is ample to allow for sleeving at both ends and a bit of trimming to finish. I made up a set of 30 and 50ft from a standard 80ft set, sleeved at the handles only, the 30ft ended up at 30ft, the 50ft ended up at 47 ft, no big deal ! How to do a handle wrap? Paul, Sarah is more interested in leaving the kite connected but I assume the method is very similar ! There,s a project for you to produce a good clear video, Please ! I must admit that I never seem to get it right, once ended up with a rats nest that took nearly an hour to sort out. How much longer to replace this bridle? Change it now before your day is ruined ! Kevin, it sounds like your EXP needs a good look at, make sure you bring it to Basingstoke ! I will give it the once over ! I have been flying a 1996/7 vintage 1.5 that I recently obtained in a very poor condition and rebuilt it with my modifications, I am only using it as a fun kite but the damn thing flies really well in low winds often better than a "B" ! And the sooner we meet the better ! Good luck to everybody, whoever wins will enjoy their kite ! That,s one of mine ! Good layout and colour match, do you intend swapping the colours ? The only thing is that yellow attracts the bugs as I found out !